In these days of ultra-realistic graphical plenty it’s all too easy to forget that for console gamers, 3D visuals didn’t really become par for the course until the advent of the 32-bit technology in the mid-90’s. 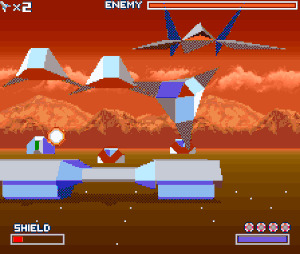 However, developers had been successfully dabbling with the third dimension for some years previously, mainly on the powerful Western 16-bit home computers like the Atari ST and Commodore Amiga. 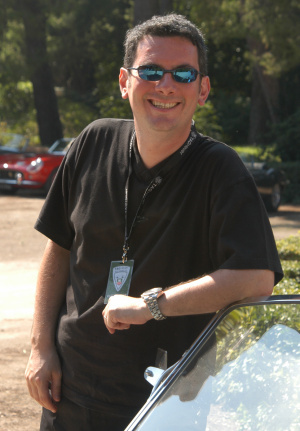 One such company was UK-based Argonaut Software, brainchild of teenage programming genius Jez San. 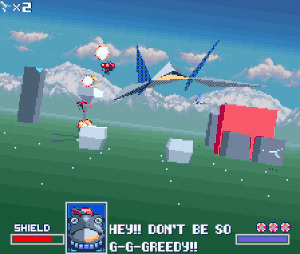 Founded in 1982, Argonaut impressed with early 3D hits such as the groundbreaking StarGlider titles and the ambitious air combat simulator Birds of Prey, but it’s the company’s association with Nintendo’s popular Star Fox brand that granted them worldwide fame. As the Eighties came to a close Argonaut turned their attention to the rapidly emerging console market, and more specifically, what kind of 3D games could be successfully achieved on the current crop of Japanese systems. The most obvious options were the then-unstoppable Nintendo Entertainment System and the newly released portable Game Boy. 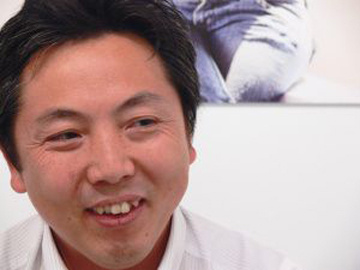 After his team had familiarised themselves with the hardware (even going as far as to reverse-engineer a Game Boy console), San approached Nintendo of Japan to propose exploring the possibility of producing 3D titles for their machines. Argonaut’s craftsmanship in the third dimension immediately impressed Nintendo; it was rumoured that the Japanese giant had been trying to produce 3D visuals on the NES for a while (with largely unsatisfactory results) and were keen to ensure that they, and not emerging rivals Sega, were the first to fully exploit the possibilities of console-based 3D titles. With the assistance of this chip the SNES was able to produce and manipulate complex (for the time at least) real-time 3D visuals and effects. Super FX was to be integrated into the cartridge itself: while this meant that SNES owners would not be required to purchase an additional peripheral (as was the case with the ill-fated Sega Mega CD and 32X devices) in order to experience the game, it did result in a slightly higher price point than other SNES releases. It was a smart move that meant every SNES owner had the opportunity to experience this technical marvel, even if it did mean having to extort a few extra quid out of long-suffering parents to do so. Developing Star Fox was a learning experience for San and his team and they quickly had to acclimatise themselves to the rather unusual working practices of their new mentor – the legendary creator of the best-selling Mario and Zelda franchises, Shigeru Miyamoto. While Argonaut primarily handled the technical duties, Miyamoto and his team, led by director Katsuya Eguchi, performed the artistic magic that they’re famed for. “We did most of the programming and all of the technology, and Nintendo did most of the design. They also did all of the characters,” says San. With Nintendo responsible for level concepts, Argonaut was on hand to provide valuable support thanks to its considerable experience in the field of 3D – an area in which Nintendo was still finding its feet, as San recalls: “It was largely Nintendo's staff that designed the stages and levels, but with help from our programmers, who created the scripting system and showed them lots of examples as to what could be done.” With Argonaut’s talented programmers at their beck and call, Miyamoto and Eguchi were able to break boundaries and create an underpant-soiling experience the likes of which had never been witnessed before on a home console. 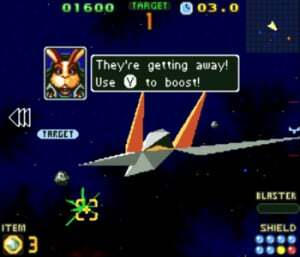 Star Fox repaid all of Nintendo and Argonaut’s hard work by shifting over four million copies worldwide. Reviews at the time were unanimously positive. The game was marketed as a true next-generation title and was eventually granted ‘pack-in’ status in the UK – a sure sign that Nintendo regarded it as a ‘killer app’ that would shift hardware on its own. 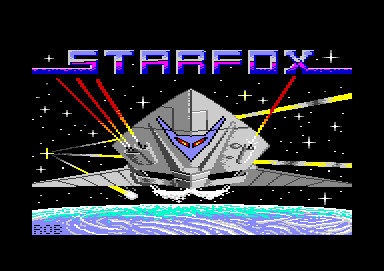 As the SNES slipped into the mists of time and Nintendo’s next machine – the Ultra 64 (later to be rechristened the Nintendo 64) – was announced, a Star Fox update was on the tip of everyone’s tongue. When Star Fox 64 was eventually confirmed, Nintendo decided not to involve Argonaut despite the firm’s sterling work on the first game and the (unrewarded) graft on the second. This didn’t surprise San in the slightest. This feature originally appeared in its entirety in Imagine Publishing’s Retro Gamer magazine, and is reproduced here with kind permission. Usually I don't read your interviews and the likes, but this prove to be a very interesting article. Thanks for posting it. Does this mean there won't be a release for Star Fox 2 on my Wii Virtual Console!? PS: Weird, I don't recall reading this on Retrogamer... did I miss an issue or something? Nice article Damien - great that we're getting to see them here! I am just reiterating what Sean said above, but I really enjoy reading Damo's pieces in Retro Gamer. I still return to my back issues now, so I've read his coverage of the likes of Starfox, History of the Game & Watch, plus The Making of the Nintendo Virtual Boy and Making of Game Boy, before. However, I often go back to these features, there is so much to learn from them about gaming's history. The depth of coverage that goes into these Retro Gamer pieces is staggering. After you read through this level of writing you really appreciate the extent of the research, including interviews with key people, as well as anecdotes and retro details that you would not be able to find easily, not even on the web. I would recommend to any retro fan to pick up the magazine and its back issues. Print and paper magazine coverage is very much alive and I am a big fan of the UK's video game magazines, from the past and present. We have a rich history of great gaming mags. It is brilliant to see these articles being republished here on Nintendo Life. @JamieO - Glad your enjoy the features my friend! I used to borrow this off my best friend years ago when I was a kid. The SNES days were great. starglider, ah those atari st amiga 16bit memorys flood back, wireframe 3d digitized speech cutting edge technology. Loved it Jez you rocked, who would of thought you now run a poker web site. star fox 2 is really good shame it never got a proper release. 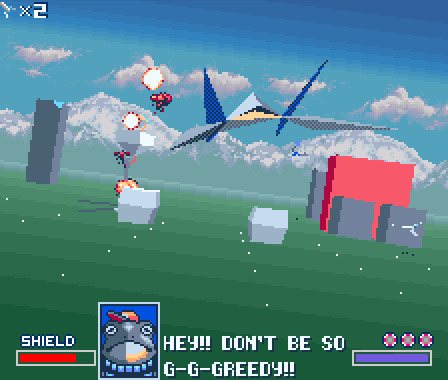 Star Fox 2, it's really a shame that wasn't released. I really had to play in a emulator (with the fan translation + fixes), it is one of my favorite Star Fox, I hope that Nintendo changes that and release it in some form, i will gladly buy it. I love how NintendoLife gets permission to publish articles from great mags like RetroGamer. They sit well amongst the great NL-written articles and make this place compulsive reading. @Damo: That would explain why I missed it... the magazine was not yet published in Portugal back then. never played 2, not sure where to find it online. I hope they'll release it for VC or something. OMG! The memories! I remember owning THAT copy of Nintendo Magazine System! Those were the days! Unfortuatantly due to my pathectic ways as a kid, I flogged some of my old copies for 50p at a car boot sale. I think the earliest copy I own is issue 15-16 that had reviews for Super Street Fighter, Morkat Kombat 2 and Knights of the Round. Going Back to Star Fox though, unfortuanantly for me never played it back then, since my Parents didn't have enough money to get me the hottest games at the time. In 1999, I think, I managed to get hold of a copy of Star Wing, but since it was the gimped up PAL 50hz version, it had huge black borders around the game, not just the top and bottom; so I was a little bit disapointed, but never the less, the fact that Nintendo managed to get 3D working on the SNES is amazing. Just think what would happen if Nintendo could do something like this on the 3DS? @Maxsh Ha, ha, I agree that Nintendo Magazine System (NMS) is not the greatest name for a magazine, but it had an excellent team of writers. With games journalists like Julian Rignall, Tim Boone, Radion Automatic, Paul Davies and Angus Swan it was a great read. Many of their team were already legendary characters from their C&VG and Mean Machines days. 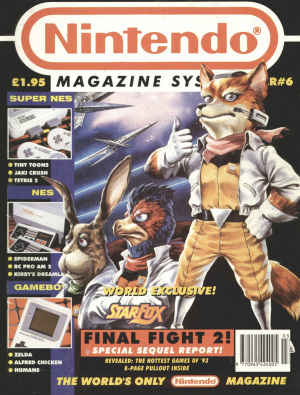 Whilst I think that many fans of the mag from back in the day will have their favourite writers out of that list, the magazine did change its editors, and some of the more anarchic aspects of Mean Machines were stiffled by such close connections to Nintendo. However, everyone must agree that Jaz Rignall is a legend. 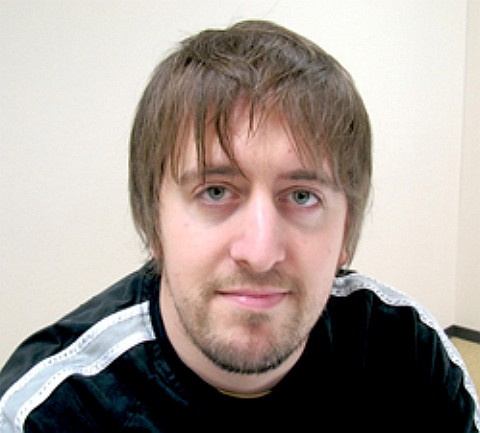 Paul Davies is cool too, he now has a regular column in Retro Gamer each month. I think the title Nintendo Magazine System holds up well today, as it adds a quirky element to the retro mag. @SepticLemon Man, I'm sorry that you sold off some of your early issues of NMS cheap, I guess when you are younger you do not always realise that you may still be wanting to read them in 15, or 20 years time. I'm lucky that I kept loads of my old mags, however you're in luck too, because as long as you download the ComicRack reader, you can also download the Star Fox issue of NMS (Issue 6, March 1993). Head over to Out-of-Print Archive to get it, they have four more issues of NMS to download, too. This is cool and all, but when can we see another Star Fox game, or a Star Fox SNES virtual console release? The first was probably the best. Then the ONLY other Starfox game, Starfox 64, added some great stuff, but had vastly inferior music and lacked the explosion of great gameplay ideas -- loved the tank levels though! Loved both of those games. It's too bad there weren't ANY other Starfox games for later consoles. Maybe Nintendo should make a 3rd one? We need this on VC. Damn you crusty old C64 game! Causing a pointless name change for the Europe release. Oh man, what I would've given (and still would) to play a Super Nintendo sequel. That was extremely interesting, great article man! @aaronsullivan Glad it's not just me who prefers the music from the original! I'm sure Nintendo have been working on tech demos with the Wiimote and StarFox, it does make sense. I'm sure it's on their "todo" list. Normally, I'm not able to read long articles because I have the attention span of a pebble, but this was a good article. Nice job Damo! 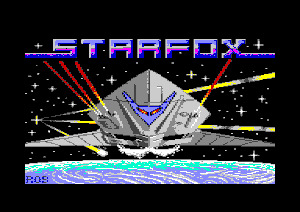 Star Fox is awsome! It's my number one favorite SNES game. Great article. I recall hearing rumors and scant details of Star Fox 2 in my Nintendo Power days, but nothing real. I still remember playing the Star Fox demo at the local mall, where they had a competition for logging the highest scores. Even if I'm primarily a PC gamer now, I miss those kinds of promotional ventures. Too bad Argonaut went out of business in 2004. Starfox is a classic that is just screaming out for a release on virtual console. Awesome game> Waited forever for it to release on VC, but then Got it at Mile High FleaMarket for like $5 or something. Cool article BTW. Thanks "G"
I still think the original Star Fox is the best of the franchise. I'd love to see a re-release that simply runs the game in full anti-aliased HD (so silky smooth polygon edges), increases the draw distance as far as possible, runs at a rock solid 60fps, and sticks with pretty much everything else as it is, even sticking with the flat shaded polygons etc, although I wouldn't mind if they actually increased the numbers of polygons used in places where it would make sense. To be fair, I'd like to see a proper fully textured HD version but I worry that modern texture artists would just make everything look dull and "realistic" and ultimately ruin the beautiful aesthetic and appeal that the orginal still has imo, so I'd rather stick with that than risk making it look wrong. Basically, a finely polished and fully tweaked Virtual Console release of the original or something like that would be awesome.